A campaign ad released Wednesday by a progressive running in Texas’s 31st Congressional District in 2018 is gaining national attention for its candid presentation of issues including domestic violence, misogyny, and money in politics. This isn’t Hegar’s first time sharing gritty personal details with the public. Her 2017 memoir, "Shoot Like a Girl," is now being produced as a biopic, with Angelina Jolie starring as Hegar. In 2012, Hegar filed suit with four servicewomen against the U.S. Secretary of Defense. Backed by the ACLU, the veterans in Hegar, et al. v. Panetta argued against the Combat Exclusion Policy, which barred women from direct ground combat, winning a victory in 2013. 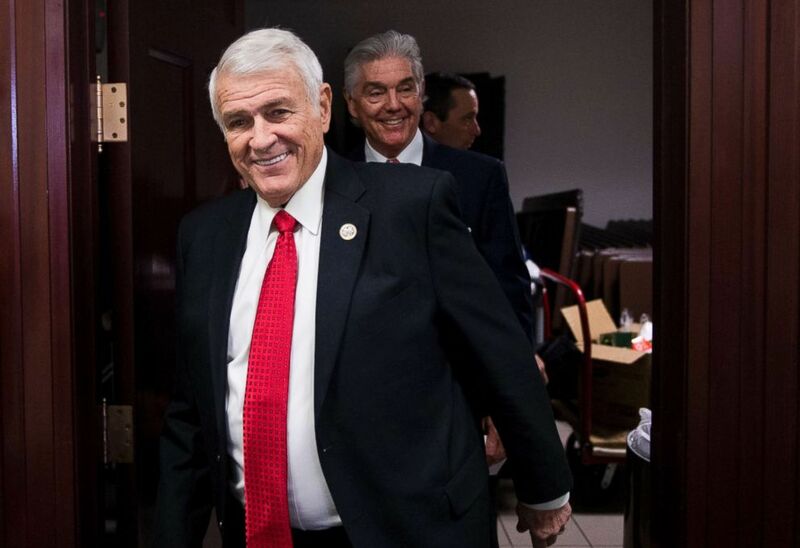 Rep. John Carter, R-Texas, leaves the House Republican Conference meeting in the basement of the Capitol on Tuesday, Feb. 14, 2017. Responding to Hegar's ad, Todd Olsen, a spokesperson for Carter’s campaign, cited a recent instance in which Carter worked with a veteran constituent. Editor's note: The original version of this story misstated the name of the lawsuit filed by Hegar in 2012. It is Hegar, et al. v. Panetta.